Sources said there are about 40 Chhupa Rustoms deployed in Gujarat for the assembly elections. 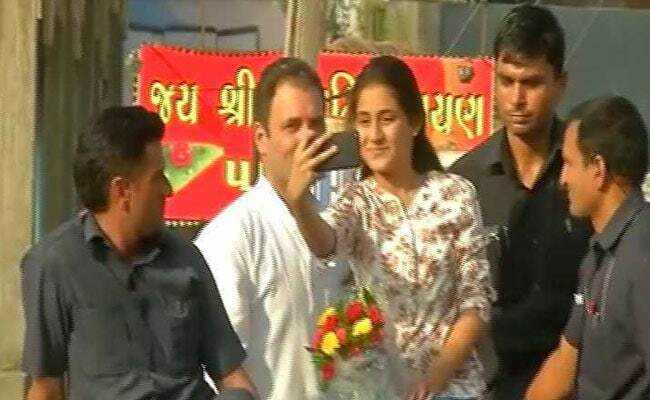 As Rahul Gandhi moves through Gujarat, visiting temples, addressing small neighbourhood gathering and much larger rallies, taking the occasional selfie with a young fan who climbed to the top of his mini-van for a selfie, there's a far more media-shy contingent that's assessing what voters want. You can call them by different names - in Hindi, we refer to them as 'Chhupa Rustam' - but it's crucial that they remain anonymous, unrecognizable," said one of these secret agents. "They source information, then give this information to a boss who is one level above them, and that rung conveys the material to Rahul Gandhi," he said, agreeing to be filmed but in silhouette so that his identity is concealed. The secrecy is not unwarranted, said more than one of these Chhupa Rustams that we spoke to. On reconnaissance missions, they gauge public mood to help shape what narrative the campaign should follow; more crucially, they try to evaluate which candidates the Congress should shortlist for the 182 seats in Gujarat that will be decided when the state votes next month. As Rahul Gandhi attempts to drive a wedge Prime Minister Narendra Modi and his home state, which has been governed by the BJP for 22 years, his decision to use a secret council of advisors is based on recent experience in Goa and Punjab where the Congress leader's official aides were supplemented by another similar secret council that helped determine candidates. The Congress won the most seats in both states. The "intel agency"of the Congress works like this, explained the source who is part of it. "Rahul Gandhi handpicks the top tier which then chooses the foot soldiers who conduct low-profile surveys of voters and party workers to identify which candidates are likely to be winning acts. He said that senior Congress leaders - like Gujarat president Bharatsinh Solanki and Ashok Gehlot - are "partially in the know" about the role of the Chhupa Rustams. If there were full disclosure, he said, "they will drive us out...they will finish us in the womb before we do something. But they are not able to that means they have a message". "Any information can only help the party," said Mr Solanki to NDTV, "they are secret stars to allow them to collect unbiased facts." 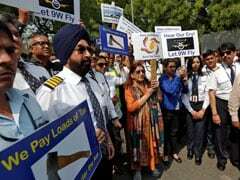 Whether he's fully in on the secret was unclear - he was unable to explain the exact count of "secret agents" but said they have been brought in "from Maharashtra, from Rajasthan, so it's hard to track details." 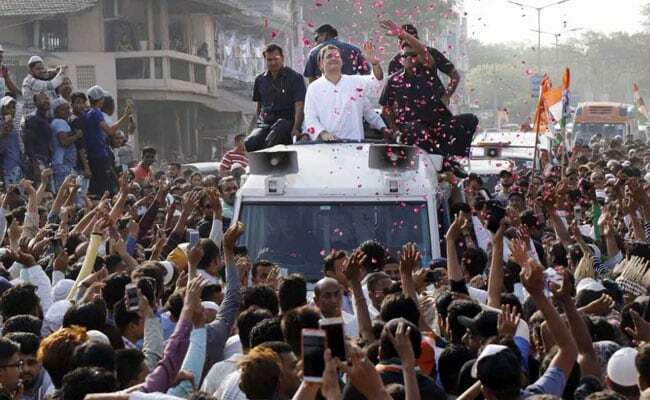 Assembly Election 2017: In Gujarat, Rahul Gandhi has tried to skew his party towards the youth. Sources said there are about 40 Chhupa Rustams deployed in Gujarat, some of whom are covering upto 14 constituencies. Candidates must be formalised by the 20th of this month, but so far, no names have been released by the Congress, which is why there's a voluptuous crowd of aspirants, CVs in hand, at the party office in Ahmedabad. Earlier, in a power play typical of the Congress' centralized leadership, they would have to travel to Delhi, said contenders. Now, a screening committee of four aides to Rahul Gandhi interview them. Its' not clear how much the committee is influenced by the Chhupa Rustams; its members didn't want to talk to NDTV. But an aspirant, Chamanji Thakor, who has twice been elected as a law-maker, told NDTV that "the party conducts a survey...who does it is a secret...but we are told it is carried out on the instructions of Rahul Gandhi. It is a top secret affair." Congress sources who work closely with its Vice President said that for years, Mr Gandhi has been trying to create a team of young leaders across India whose motivation is not to run for office themselves but to help the party identify and promote deserving talent and candidates. For all the effort that the Congress is putting into determining its candidates, equally crucial will be its strategy in deciding how to handle those it rejects. As Shankersinh Vaghela proved before quitting the party, it's easy to move disgruntled Congressman towards the BJP -at least six Congress law-makers switched teams at that point, in total 43 stayed loyal. Perhaps the secret ops should focus on uncovering other likely defectors, say some Congress sources wrly.